If you have gotten to this point, it’s fair to assume you are responsible and know how to prepare for something important. It’s easier to answer questions that you know are coming. But it’s often more telling and more valuable to see how you react when you have to digest what is happening, break down the problem and come up with a solution in real time. No one is perfect; everyone’s made mistakes. Cliche, but true, the important thing is to learn from them and improve. Programs don’t expect you to not have made mistakes, but they don’t want those mistakes to have been in vain and would probably prefer if they were less likely to be repeated. Interviewers may present you with an ethical dilemma, either one related to a general workplace/team-based issue, or something more medically centered with the obvious understanding that you don’t have the medical knowledge. But the medicine is not the point of the question. The interviewer wants to see how you think. How to handle it: First, talk it through, then draw on your own experiences. Think through aloud what the issue is. Name the dilemma explicitly. Then identify the pros and cons of each side. This demonstrates that you are thorough, considerate and systematic in your thought process; this is really what the interviewer cares about. It also buys you some time if you are feeling overwhelmed. Before you arrive at your conclusion, briefly discuss a time in which you dealt with a similar dilemma. Explain how you acted, how that situation compares to the current one, and how you learned from it. Not only does this experience show your ability to reflect, it also makes your answer more poignant and memorable. 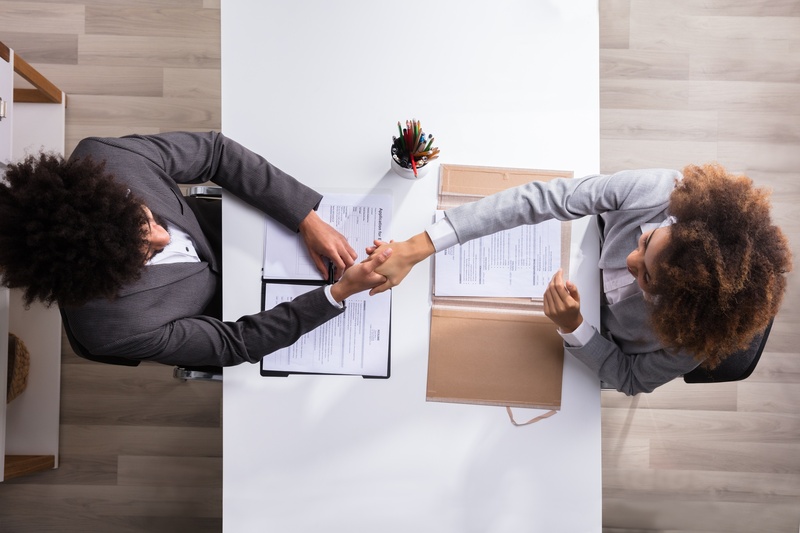 This can often feel like a difficult question because it seems to be asking you to provide the interviewer with reasons you are a poor candidate. Instead think of this question as - what did you used to be bad at, what actionable steps did you take to improve those shortcomings, how has your progress been so far, and what new steps are you taking now to continue to improve? Everyone needs to improve in some aspects. The interviewer is looking to see that you are self aware, can identify the areas in which you need to improve and that you are able to create concrete, self devised plans to make those improvements. You will make mistakes in medical school and as a physician, the error is in not being able to recognize and grow from them. This is another instance in which it can feel as if the interviewer is trying to make you act against your own best interest. They aren’t. They know about your bad grades/MCAT score/etc and they want to interview you anyway. Think of this question as an opportunity to explain what you learned from this experience and what you have done to show that it won’t or hasn’t happened again. For instance, if you did poorly in a science class, maybe you identified it was because of difficulty with time management, so next time you made an extra effort to be more organized and in the next science class your grades improved. However, I do acknowledge that often it doesn’t feel like there was one specific reason that caused you to do poorly. Sometimes, it was really that the test or class was just hard. Highlight your hard work. Focus on the fact that you were not discouraged, continued to work hard and succeeded in other areas. Your story is ongoing and is far from over. You’re continuing to work on strategies to improve and there is no quit in sight. There are two ways to think of this question and it depends on how they word it. The difference in the two hypotheticals is are you allowed to apply again or not. First - What would you do if you don’t get in? Easy. Take some time to reflect and then go and strengthen the weakest part of your application (take post bac classes if it’s your grades, retake the MCAT if your score is holding you down, shadow more if your clinical experience is lacking, work in a lab if research is your weak point). All the while you will continue to strengthen whatever is already strong and continue to contribute to your community. Then you will come back next cycle and apply again. Because you will be a doctor. Is that itinerary 100% realistic for a person who also has to work and live a life? Probably not. But they created a hypothetical questions and you can give them a hypothetical, idealistic answer. Second - If you couldn’t be a doctor and had to choose something else to do with your life, what would you do? Here, you’re not allowed to apply again. Identify aloud what qualities about being a physician are attractive. Maybe the science and nuts and bolts were what drew you in so you’d be a PhD or an engineer. Or maybe it was the constant learning/teaching, so you’d go work in a school? Or maybe it’s the idea of helping people on a more macro level and you’d get involved with policy. Whatever it is, describe the appeal of being a physician, and then identify a profession that matches what you’ve just described as closely as possible. The interviewer doesn’t need to know that you may have never considered this alternative career. It’s irrelevant, because you are going to be a doctor.